Destiny sequel now due in 2017, a large expansion is due this year. Bungie has announced that the rumoured delay of the Destiny sequel is correct and it will now not be released until sometime in 2017. A ‘large new expansion’ is still due to come out this year. Bungie told it’s fans in it’s weekly update. Will this be enough to keep Destiny fans happy? I know my interest is weining as we get lacklustre updates and poorly thought out events such as the one running right now for valentine’s day. Last weekend titles such as Red Dead Redemption and Left 4 Dead 2 were made downloadable and for a short time playable through the backwards compatibility feature on Xbox One, this was by mistake. While this error has been corrected and the titles made unplayable we have had four new games become backwards compatible this week. 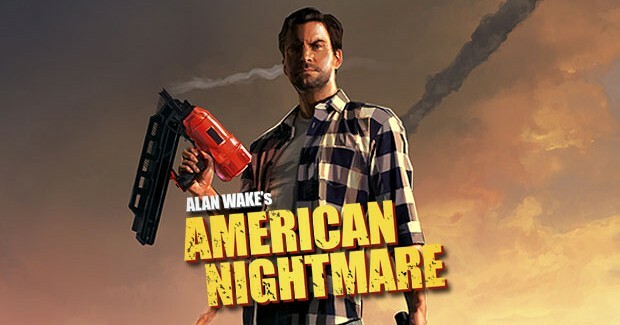 Trials HD, Sam & Max: Beyond Time and Space, Alan Wake’s American Nightmare, and Lego Batman have all become backwards compatible. Now let’s hope that the second most requested title (Red Dead Redemption) really does enter backwards compatibility as I for one would welcome another chance to to play that awesome game and it’s horror themed DLC. Lumo gets a release date. Lumo charmed the pants off me and my wife when we played it at EGX last year. The whimsical puzzle-adventure game shall finally be released on PC on the 26th of April, with console versions coming at a to be announced later date. Developed by Triple Eh? and almost entirely the creation of Gareth Noyce who is best known for being a co-founder of Ruffian Games (Crackdown series), Lumo has you play as a young wizard in a wonderfully retro aesthetic. You are tasked with exploring a 400+ room castle and solve the 8-bit era inspires puzzles that they present. The Flame in the Flood gets a release date. From a team of talented developers who created such hits as Bioshock, Halo and Rock Band comes a compelling roguelike focusing on the story of a girl and her dog trying to survive a southern gothic American bayou created by flooding. In addition to stunning visuals and compelling gameplay you can expect evocative music provided by alt-country musician Chuck Ragan along with The Camaraderie and The Fearless Kin. The Flame in the Flood was a success on Kickstarter in 2014 raising $251,647. With the game just weeks away we of course have a new trailer. I spent some time playing The Flame in the Flood at the Xbox booth last year at EGX. Even in a crowded and noisy environment I could tell that it was going to be a special experience. I can’t wait to get my hands on it more in just a couple of weeks! Hello, this is just a quick test post so I can start theming everything. Bacon ipsum dolor amet turkey prosciutto pig meatball pancetta sirloin ribeye jowl chicken capicola. Ground round biltong hamburger fatback shank capicola. Meatloaf frankfurter bacon boudin, turkey jowl leberkas andouille salami ribeye. Pork loin pastrami beef ribs strip steak pork chop. Swine salami frankfurter pork chop pork belly chuck boudin jerky turkey fatback doner tail bresaola short ribs prosciutto. Shank porchetta cupim ham hock salami, kevin bacon ground round short ribs doner. Bresaola prosciutto tongue leberkas flank frankfurter picanha filet mignon turducken short loin shank chuck jowl ham hock. Pig spare ribs meatloaf hamburger swine. Pork chop corned beef hamburger, pork loin t-bone chuck boudin sausage leberkas andouille. Boudin doner t-bone shoulder pancetta cow. Kielbasa t-bone drumstick, turkey frankfurter flank tenderloin pancetta beef ribs short ribs boudin. Boudin frankfurter turkey rump, sirloin strip steak leberkas short ribs corned beef. Tail rump andouille, sausage hamburger jerky landjaeger beef ribs alcatra sirloin pancetta meatball ball tip. Short ribs shankle shoulder, ground round pancetta meatball ham hock hamburger chuck. Cupim kevin meatloaf, kielbasa biltong pancetta jerky pork belly short ribs meatball tongue. Pork chop pork loin shoulder flank salami chicken boudin frankfurter pork belly prosciutto jowl corned beef t-bone pancetta. The dead aren’t walking anymore. They’re running. Under a parachute’s shadow, Techland drops us into familiar territory. A crumbling, sun-bleached ghetto creeps beneath us, our cruelly protracted descent into its moribund streets delaying an inevitable confrontation. As we hit the ground, the hoodlums hit us. The fracas draws attention, undead rushing in from all corners. It’s only thanks to a band of survivors from a nearby tower block that we manage to escape – but not without being bitten first. With dwindling stocks of Antizin keeping the infection suppressed, the Tower is far from a permanent sanctuary. Kyle Crane has been inserted into the fictional Middle Eastern city of Harran. He’s on a mission to retrieve a sensitive file, stolen from the GRE (Global Relief Effort) for purposes of blackmail. The thief, Suleiman, could be anywhere. He could even be in the Tower, amongst Crane’s saviours. Trapped between competing allegiances, our protagonist shuffles awkwardly over moral lines, lurching towards his ultimate choice. In many ways, this is just another zombie apocalypse in the vein of Techland’s Dead Island series. But with a zombie horde that is more than shambling, parkour (also known as free running) brings a unique skill set to equal the threat. Avoidance is the sensible tactic for survival in a city brimming with the undead at every corner. A versatile array of moves (developing with experience as you level up) give you everything you need to stay out of harm’s way. First rule: don’t touch the floor. Leap across rooftops, vehicles, walls and fences to get where you need to go. If you do fall, get back up as quickly as possible, launching off from a zombie’s shoulders if you have to. Catch your breath where you can, and make use of the various safe zones across the city…as long as you’ve managed to clear the zombies out of them first. Second rule: choose the right weapons. To begin with, they’re weak, fragile, and almost useless in a crowd, especially when your swinging arm starts to feel heavy. While you might find a gun on rare occasions, don’t think that’s the easy option. One shot will attract a legion of fast, predatory zombies that can run and climb almost as well as you can. Third rule: be wary of the night. Before you venture out of that safe zone in the dark, just know that it won’t take a gunshot to draw attention to yourself. The undead are stronger and more alert. Utilise stealth, disguise yourself with zombie entrails, or just stay indoors. If you must go out, be ready with that UV light to throw the pack off your tail, or use the various traps set up across the city. It’s a huge experience boost for you if you survive the night. From the outset this is a serious survival horror experience. 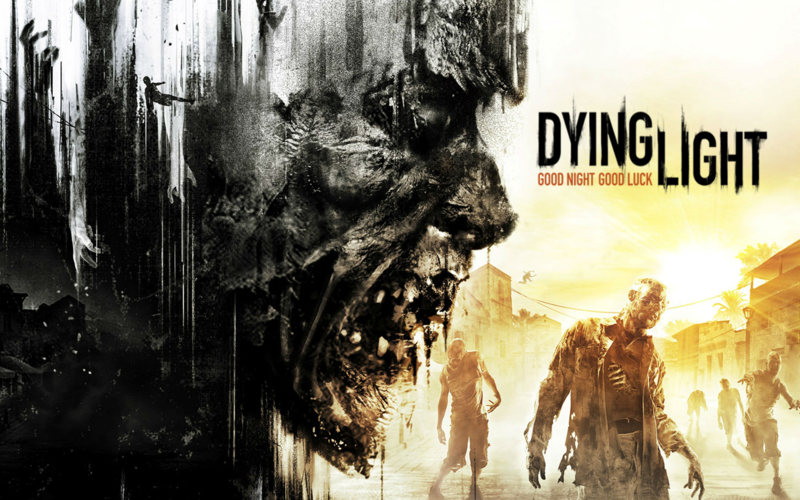 The zombies of Dying Light demand your fear and respect – at least initially, they are nothing like the gory playthings of Dead Rising 3. That said, as you level up and attain better weaponry, taking on the undead becomes a risk worth taking. Care is still required to avoid losing experience points upon death, but beyond the steep learning curve lies an accessible adventure. The game opens up further in four player co-op, allowing for a more combat-focused attitude (and the extra experience that naturally brings). Playing co-operatively is as fun as you might imagine, not only for the brute force advantage but the thrill of scaling the city’s buildings together. A trip to the top of the suspension bridge before jumping into the sea is a high point in more than the literal sense. In terms of progressing Crane’s story though, co-op play can be a dissonant experience. Only Crane is recognised as a participant in the events that unfold. In practice, this means everyone having to literally stand in his footsteps to interact with other characters or objects of importance. Consequently, the story itself is best played alone if you want to be at all invested in it. The meat of the adventure itself fares better. There are a handful of lazy arena battles as you might expect, and there are far too many fetch quests to be found. 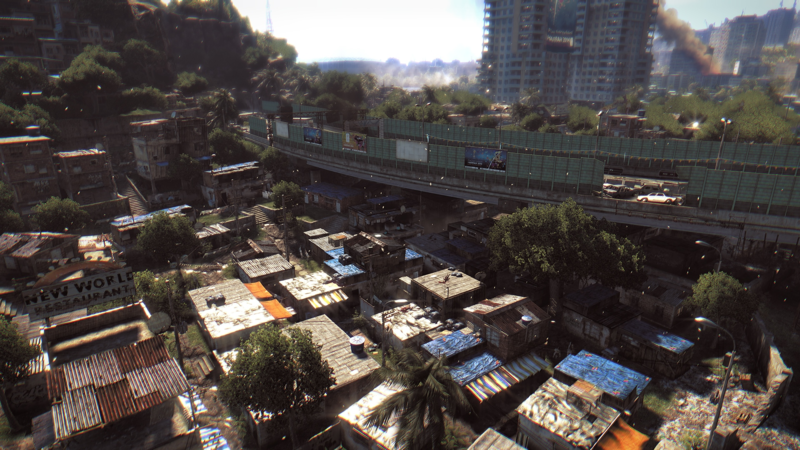 Yet for the most part, Techland is respectful of the game’s stand out feature – the parkour. Particularly towards the end of the game, intelligent use of climbing and traversal skills are what it’s about, with zombies used only as an obstacle to leap over. 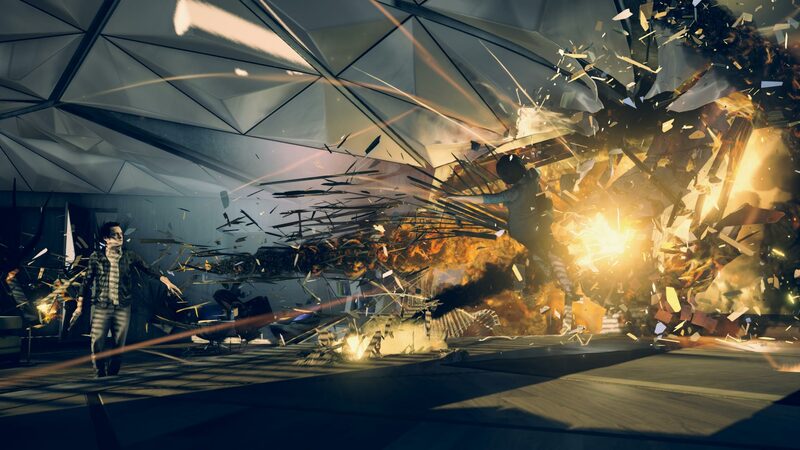 Such moments recall Mirror’s Edge, which until now has been a woefully untapped idea. More than that, they show that the idea has room to grow. What could have been just another zombie title turns out to be barely about the zombies at all. 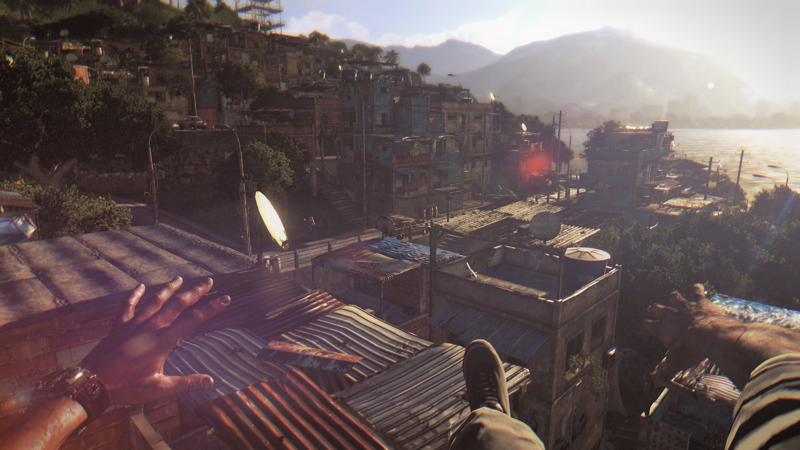 It stumbles and it falters, but ultimately Dying Light runs with its core idea. When the sun comes up, I think it’s going to be a survivor.